We partnered with RSPCA Queensland to create a social media campaign that changed the way people perceive rescue bull-type dog breeds. 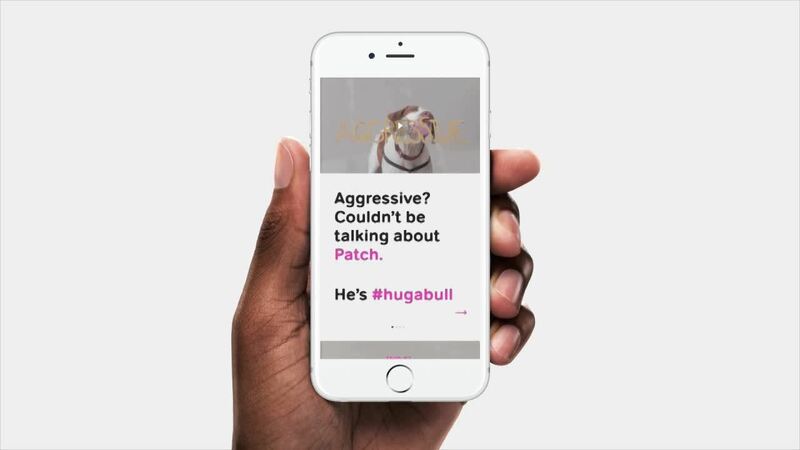 In the two weeks that the campaign was live, we saw a 44% growth in the adoption rate of bull-type breeds.Since the campaign finished, those numbers have continued to grow – so much so, that Facebook have written a case study on the project. These false beliefs have left RSPCA Queensland, the largest animal shelter in the southern hemisphere, with an overflow of rescue bull-type breeds. They’re labelled ‘damaged’ goods, through no fault of their own, and are stuck indefinitely in shelters. We needed to change people’s perceptions, debunk the myths surrounding these dogs, and encourage positive conversation about the breeds. We knew we had a powerful message, but we were working within an extremely tight timeframe, and a very limited media budget. In order to achieve our goals for this campaign, we needed a creative execution that captured people’s attention with the #adorabull aspects of the dogs, but kept the spotlight firmly on education. We didn’t just want people laughing at another funny dog video; we needed to change their attitudes towards rescue bull-type breeds. In preparing for this campaign, we met several of the pups in question at an RSPCA QLD shelter. From the moment we saw them, we couldn’t understand how anyone could view them negatively. There was no aggression, savageness or rough behaviour; there was just licking. If only there was some way they could lick away the bad stereotypes. Fast forward to film day, and that’s exactly what they did. We used peanut butter on Perspex to write three negative words that are often incorrectly associated with rescue bull-type breeds. We then “unleashed” several very happy pooches to do their “worst”, and captured the whole thing. We used the peanut butter videos to stop thumbs and introduce our audience to the campaign brand. Simple yet effective creative, paired with educational content, well placed media, and a great user experience helped us to achieve the #incredibull results we did during, and after this project.